"Tom & family, we are so very sorry for your great loss...."
"My sincere sympathy on your loss. What a wonderful woman. ..."
"Tom and family, So sorry for your loss. 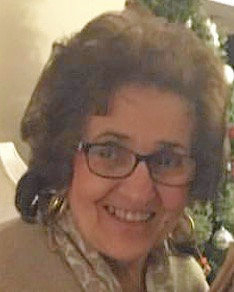 Our thoughts and..."
Joan M. (Assaf) Navich, age 83, a lifelong resident of Moosic, passed away peacefully Friday morning at Mountain View Care Center in Scranton with her loving family by her side. She was preceded in death by her beloved husband, Thomas M. Navich, on Feb. 20, 1988. Born on Dec. 20, 1935, and daughter of the late Mitchell and Minerva Habeeb Assaf. Joan was a graduate of Moosic High School where she was head drum majorette. Upon beauty school graduation, she worked as a beautician in Old Forge with her good friend Lillian Davis before taking on a new job of being a dedicated full-time Mom. Of Roman Catholic faith, she was a longtime member of Queen of the Apostles Parish in Avoca. Joan loved cooking, music and, of course, Elvis Presley. She was social and welcoming and her door was always open to her relatives and friends. Above all things, however, came her family. She was a dedicated wife, amazing mother, sister, adoring Nana and Gigi. Dearly loved, she will be missed forever and never forgotten. She is survived by her four children, Tom Navich and Kim, of Scranton; Michelle Straw and Clay, of Mechanicsburg; Michael Navich and Sharon, of Plains Twp. ; and Cheryl Krappa and Rich, of Moosic; her grandchildren, Nicole Krappa, of Moosic; Thomas Navich, of Moosic; and Mikaela Straw, of Mechanicsburg; her great-grandchild, Hartley McDonald, of Moosic; her siblings, Frank Assaf and Janice Assaf, of Moosic; Evonne Lausier and Gary, of Kansas City, Kan.; and David Assaf and Mariella, of Pompano Beach, Fla.; and nieces and nephews. Her family wishes to acknowledge and thank the entire staffs of both Mountain View Care Center, especially Stacy Niemotka, and Hospice of the Sacred Heart for their collective exceptional care, compassion and kindness received throughout Joan's stay. A blessing service by the Rev. Phillip J. Sladicka with burial at Sacred Heart Cemetery in Scranton was privately conducted. In lieu of flowers, memorial contributions may be made in Joan's name to the American Parkinson Disease Association, c/o 135 Parkinson Ave., Staten Island, NY 10305. Arrangements are under the care of the Thomas P. Kearney Funeral Home Inc., 517 N. Main St., Old Forge. Please visit the funeral home's website to leave a condolence.